Many people think only eyeglasses can correct Astigmatism, but contact lenses can help too. More and more people are now switching over to contact lenses, thanks to their ability to bring a natural vision to the eyes. Unlike eyeglasses, they offer natural vision and help you get the entire field of view in focus. This means you can see as much around you as possible when you drive or engage in sports. With the help of the Acuvue Oasys 24 Pack, you’ll be able to maintain your natural appearance. This is because people will only see your eyes but only you know you are putting on contacts. Specifically, if you have dry, sensitive eyes, you can use these lenses. They move with your eyes so that you don’t feel it heavy on your lens or cornea, hence why most users have reported that they don’t even feel they are wearing it. And since there are no frames on the contacts, it doesn’t obstruct your vision which helps in reducing distortions. Most importantly, you can wear them for an extended period of time. Whether you are suffering from refractive error or losing your near vision with age, then the Acuvue Oasys 24 Pack should suit you well. In this article, you will learn everything about the Acuvue Oasys 24 Pack. This includes pricing, comfort, and any potential drawbacks so you can make an informed buying decision. If you are experiencing dryness or want to drop your glasses, you should try the Acuvue Oasys 24 Pack. So if you are looking for alternative way to eyeglasses or want to stop using rewetting drops, then this contact lens is for you. The advantage of these contact lenses over other brands is that it is an excellent companion for physical activities. This is beneficial because you can take it to the gym or wear it during active sporting activities. The Acuvue Oasys 24 Pack is manufactured by the Johnson & Johnson brand. In each package, there are 24 lenses that are made purely of 62% of polymer (Senofilcon A) and 38% of water. You can buy for either the right eye (OD) or the left eye (OS) depending on which one you are having problems with – or purchase both if you prefer to have them on both eyes. The contact lenses are also available in 6 and 12 packs. So, it’s possible you’ll use them up quickly and you may find yourself needing more, which will necessitate spending extra time ordering more. If you have the budget or don’t like the stress of going back and forth with the manufacturer, then it’s better to go with the one year 24 pack supply (two boxes for each eye) so you can better spend your time on something more important. These are 1-2 week soft disposable contact lens which means that you can use a pair for up to 2 weeks or a week before disposing of them for a new one. They are most suitable for someone who is working with a budget and depending on how you use them; they should last up to 8 months. Thanks to the Hydraclear Plus Technology, the Acuvue Oasys 24 Pack is able to keep the eyes wet and comfortable throughout the period of wearing them. This is a dryness-reducing material that keeps the lens moist and secured for the most part. The Hydraclear Plus Technology keeps the lenses ultra-smooth and soft so as to prevent the eyes from getting itchy even in dry conditions and heated environments. The Acuvue Oasys 24 Pack doesn’t fog up in cold weather like glasses and isn’t affected by weather conditions in general. Moreover, it is able to block 95% of UVA-1 rays (this is currently the highest available rating at the time of writing) and 99% of UVB that can damage the eyesight – thus providing a fantastic comfortable contact lens wearing experience. 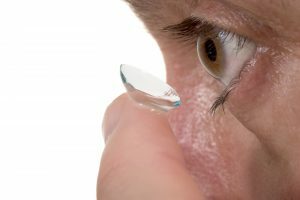 Usually, the type of contacts you choose, how frequently you replace them, your prescription and where you buy them (very important) will determine the price you pay. Usually, some retailers offer occasional discounts or rebates so you want to look out for that and we have a section about that here (we put the link once the section is up). For the Acuvue Oasys 24 Pack, the price ranges from $104 to $150 for a box of 24 lenses from some of the most popular online retailers. Since you’d be looking at replacing each pair every two weeks, you’ll need 30 lenses for each eye per year and that can quickly drive up your overall cost. Fortunately, we found Coastal.com holds the lowest price after a thorough research of the price differences. While other retailers have a price tag starting from $114, you can order it for only $104 from Coastal.com which is the cheapest among the others we have seen. The one that’s even close is $114 with $10 difference which is significant if you are buying more than one pack. Because there are many brands out there, it can be really confusing or downright difficult to choose the right contact lenses for you. However, there are people who have already purchased the Acuvue Oasys 24 Pack and are willing to share their experience. Your job is to research what these people say about this contact lens and make an informed decision based on that. We have done the work for you so you don’t have to spend several hours — or days — down the rabbit hole trying to make sense of what thousands of people have said about this brand. Here is a condensed version of the reviews on the Acuvue Oasys 24 Pack. What Are the Best Uses? 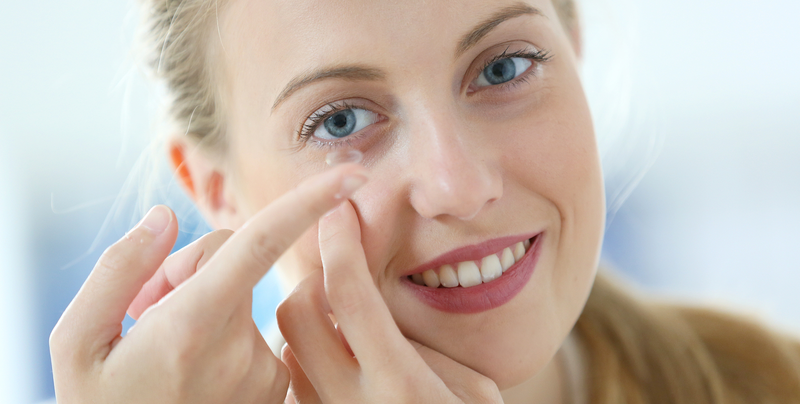 There are many different contact lenses on the market today, with each one serving specific purposes. The lens-wetting technology in these contact lenses ensures that you don’t experience lens-related dry eye symptoms. dfdIf you suffer from contact lenses irritation in the past, this is a great option for you. You can easily wear them for up to 2 weeks without developing discomfort, compared to other contact lenses. Many users have also confirmed that they are extremely easy to use and people with dry eye problems have little to no irritation when they wear them. If you are on vacation and don’t want to worry about your contacts irritating you, then contact lenses are a good choice. How Do You Clean the Acuvue Oasys 24 Pack? Unlike before, cleaning, disinfecting and storing your contact lenses is far more easier. 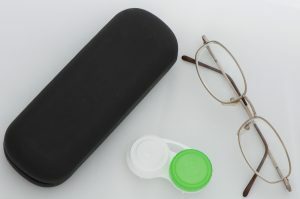 You don’t need to have several bottles of cleaning products or bother yourself with enzyme tablets for taking care of your lenses. All you need is a multipurpose solution that helps you clean, disinfect and store your Acuvue Oasys 24 Pack contact lenses. If you have sensitive eyes, use preservative-free solutions. They clean well and don’t cause irritation. These contact lenses sit directly on your eyes so that your peripheral vision is not obstructed. Some users praised the Acuvue Oasys 24 Pack Contact Lenses for helping them get a normal vision in addition to not causing any obstruction to their vision. Are the Acuvue Oasys 24 Pack Contact Lenses Suitable for Sensitive Eyes? Yes, the Acuvue Oasys 24 Pack contact lenses are comfortable and easy on sensitive eyes. One user stated that she first felt her eyes become sensitive immediately after using these contact lenses as though a fan is blowing in her eyes. However, her doctor told her is it not the Acuvue Oasys 24 Pack that’s causing the problem but some other contact lenses (made of plastic) she had used in the past have already deaden her eyes. So switching to the Acuvue Oasys 24 Pack (which is made of silicone hydrogel the mimics the shape and movement of the eye) causes the eyes to react, which is quite normal. A significant number of users also stated that out of all the contact lenses designed for chronic eye sufferers, only the Acuvue Oasys 24 Pack is able to really ease the problem. There are many interesting views on the Acuvue Oasys 24 Pack. Many users have stated that they are comfortable and barely noticeable once inserted. It also doesn’t require any extra effort to insert, so if you are a first timer, you should find it easy to handle. 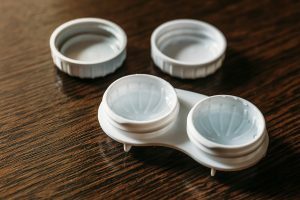 The inside out design of these contact lenses ensures that you know what part should go out and which should go in, making for a quick insertion every time. Aside from this, many users have found that the lenses are gentle on the eyes and because of its good fit; you can put them on while playing sports and other recreational activities. With the Acuvue Oasys 24 Pack lenses, you can participate in outdoor activities without being afraid of your lenses falling out, breaking or getting in the way of your fun. Most importantly, they don’t clash with what you are wearing at any point in time. What Are the Potential Drawbacks of the Acuvue Oasys 24 Pack? Compared to other contact lenses, there are actually a few complaints from users with the majority praising the Acuvue Oasys 24 Pack contact lenses. In some cases, some customers find that cleaning these contact lenses with active solutions don’t work out for them. This is because solutions like clear care and similar products can damage them. 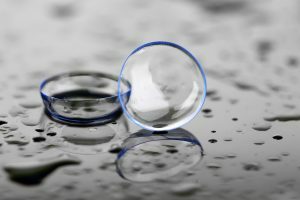 Since only a few people lodge this complain (and every customer clean their lenses with a cleaning solution), it’s then a matter of finding the right cleaning agent for your lenses. If you want to use them for long, it is better you don’t use a strong solution like that. Instead, switch to a regular solution and you shouldn’t experience this problem. Acuvue Oasys 24 Pack lenses are moist, breathable and comfortable on the eyes. 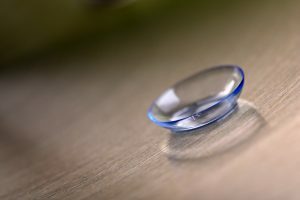 What’s nice about them is that you won’t feel they are there after you insert them – which is the whole essence of putting on contact lenses in the first place. These contact lenses are designed specifically for people suffering eye dryness or just looking to drop their glasses for contact lenses. If you sit at the computer or engage in physical activities like sports, these lenses will not hurt your eyes or obstruct your activities. This is since you won’t even know they are there. And the fact that they are visibility tinted means you can wear or remove them with ease, even if you are a first time user. While most people often buy them for both eyes, you can order the Acuvue Oasys 24 Pack for only one eye and it will not affect the performance. And if you want, you can also order 1 or 2 boxes for each eye, where each boxes comes with 24 lenses each which you can dispose of in 1-2 weeks.